You believed while others doubted. You never needed any proof of their existence, you just believed! Today is a magical day, the speculation on whether unicorns exist or not is solved. 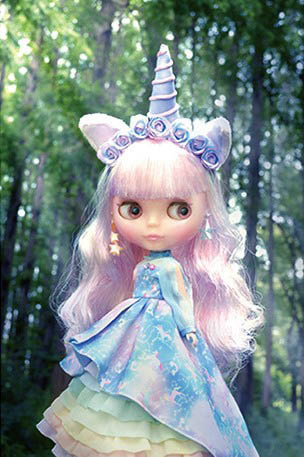 An enchanting unicorn named Neo Blythe Unicorn Maiden (17th Anniv.) has come out of hiding. 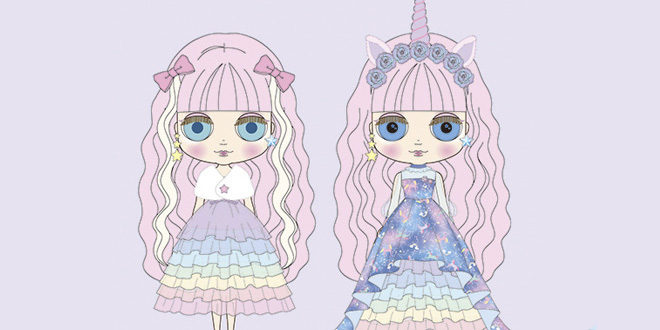 Unicorn Maiden is a dreamy pastel girl. Not only is it rare to spot a unicorn but it's even rarer to see a unicorn who is celebrating a birthday . . . talk about extra special. 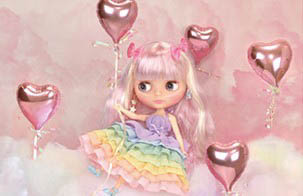 Neo Blythe Unicorn Maiden is the 17th Anniversary Blythe and hopes she lives up to the legend of unicorns. 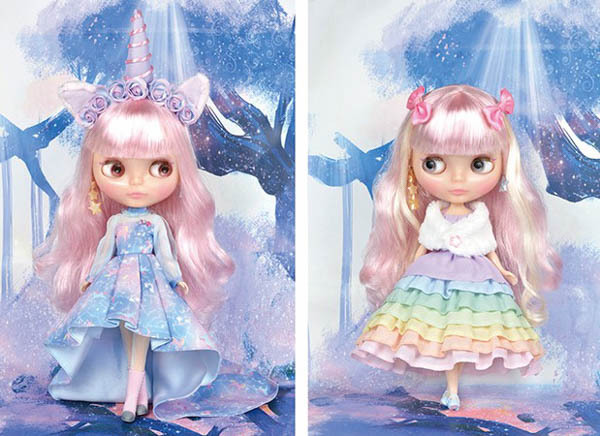 Staying true to myth of Unicorns and the mystery surrounding them, Neo Blythe is lottery doll. 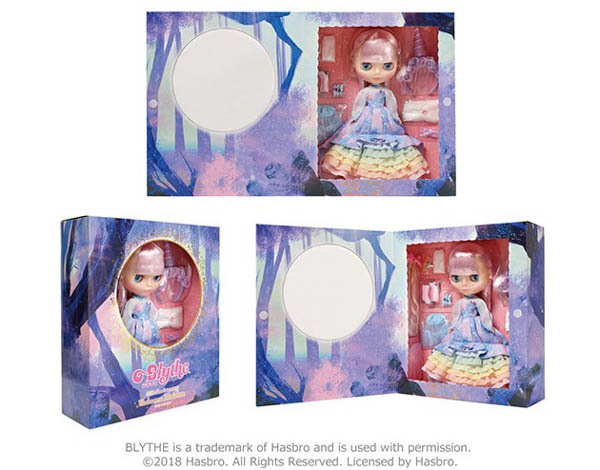 So if you want to catch Unicorn Maiden, you have to be determined, meaning you have to enter the lottery for the chance to purchase her. Unicorn Maiden is a proud and gentle guardian of the forest. Hair: Her hair color is a brand new purplish pink (that comes with a pair of white extensions). Her hair is long, slightly permed, and cut straight across the bangs. Eye Shadow: pink, with the lower part of the eyehole highlighted pearl white, and a thin purplish pink eyeliner drawn along the edges of the eyes. 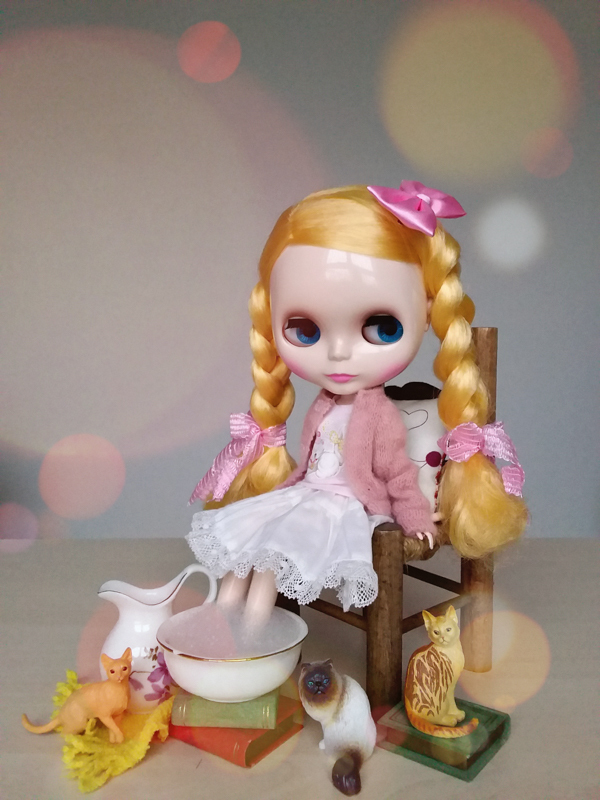 Her eyelids are a pearl pink, and her eyelashes are a special light brown. Cheek and Lip: Cheeks are pink, and her lips are blurred pink with a lining in the corners of the mouth. Did Unicorn Maiden convince you of the existence of unicorns or are you still a skeptic and don't have plans on adding this sacred pony to your collection! We can't wait to hear your thoughts about this fantastical Unicorn. 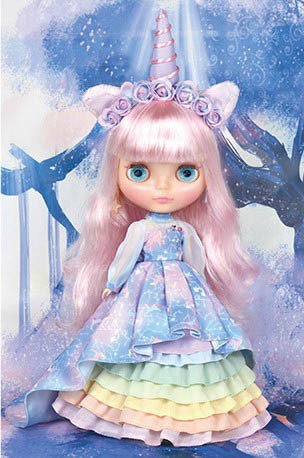 That is cool to hear that Neo Blythe Unicorn Maiden caught your attention. Thanks for taking the time to chat with us about this special girl. Unicorn maiden is so cute. I love her hair and her hologram eyes sound really pretty, I wonder if they will be a bit like Chocolat’s. 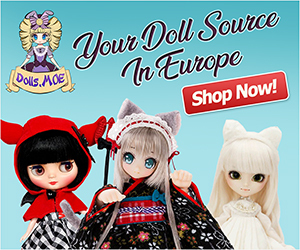 I’m very tempted by this magical girl. Thank you for sharing with us. Her hologram eyes sound very promising. 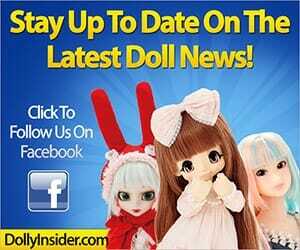 I hope the doll lives up to the illustration. 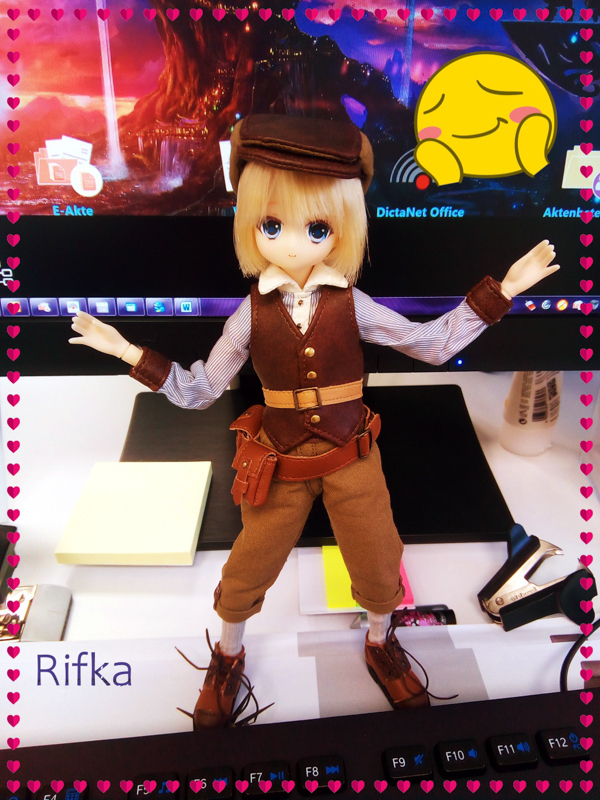 If she does, collectors will have a truly unique girl in their collection! 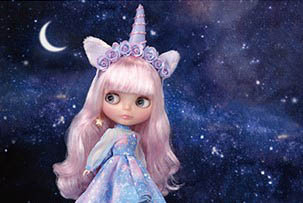 Thank you for stopping by to chat with us about the Unicorn Blythe.